Brand owners have for some time been focused as the accession of African countries as European brand owners are well versed in the Madrid System and have used it with great success. African countries have generally been slow in acceding to the Madrid System, and it has not been without complications. 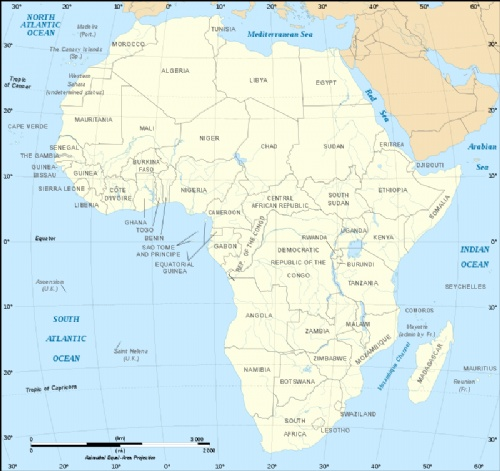 Currently, the following 22 African countries/jurisdictions can be designated in terms of the Madrid System: Algeria, Botswana, Egypt, Gambia, Ghana, Kenya, Lesotho, Liberia, Madagascar, Malawi (most recently), Morocco, Mozambique, Namibia, OAPI, Rwanda, Sao Tome & Principe, Sierra Leone, Sudan, Swaziland, Tunisia, Zambia and Zimbabwe. The IP Office should maintain a single (digital) trade marks register which contains national and international registrations. Of the member states, only four countries meet the criteria above, namely Kenya, Mozambique, Morocco and Tunisia. The more recent accessions involve Malawi and Namibia. These two countries have made big strides during the last quarter of 2018 aiming to amend their national legislation and local registries are working hard to comply with the requirements under the Madrid System. I touch briefly on these developments. On 24 October 2018, the notice of commencement in respect of the Trade Marks Act no 2 of 2018 (the New Act), was published in the Malawi Gazette Supplement. In terms of the notice the new Act came into operation on 1 October 2018.
the notification indicating that the recording of licences in the International Register shall have no effect in Malawi. Consequently, a licence relating to an international registration should be recorded in the national register of the Malawian Registry in order to have effect. The Madrid Protocol, this declaration and the notifications, will become enforceable on 25 December 2018. There are reservations about the New Act coming into force without new regulations setting out the procedure to deal with applications for service marks, collective marks, geographical indications and non-traditional marks. That being said, new acts have come into operation in a number of other African countries before being gazetted and/or before new regulations have been published. As long ago as 2012 a new Industrial Property Act no 1 of 2012, which gave effect to International Registrations designating Namibia, was published. No enabling regulations were, however, published. After much anticipation, the Industrial Property Regulations were finally published in the Namibian Government Gazette on 1 June 2018. As a result, the new Industrial Property Act no 1 of 2012 came into operation on 1 August 2018. Provisions are now in place for multi-class applications and applications to be filed in terms of the Madrid Protocol and the Banjul Agreement (ARIPO). In addition, the Registry has dedicated specific personnel for purposes of processing Madrid and ARIPO publications. The challenge for both registries is to ensure that the Madrid applications are examined within WIPO’s strict timelines to ensure that brand owners can enforce their rights in these countries. We will continue to monitor developments in Malawi and Namibia.